An exclusive tour of some of Britain’s most historic stately homes and beautiful gardens. From the rolling hills of the Cotswolds to the lush green countryside of the Scottish Borders and the wild open landscapes of the Lake District, experience the ever changing British landscape from the air as we fly you to each of our carefully selected locations. On landing you will receive a VIP tour and privileged access to some of our most exceptional houses and award-winning gardens. Meet your helicopter charter at London Battersea Heliport and fly 30 minutes to Burghley House, near Peterborough. Famous for the Burghley Horse Trials in the late summer the house itself is one of England’s greatest examples of Elizabethan architecture. Enjoy an exclusive, VIP tour of the house and take your time exploring the extensive Capability Brown gardens. After lunch your helicopter will fly you the 25 minutes to Chatsworth House in the Peak District. One of the most recognisable stately homes in the country it has been the setting for a number of feature films and television series. Take a private tour of the beautifully preserved state rooms and one of Europe’s most significant art collections. 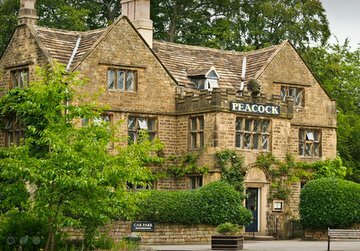 You will spend your first night at The Peacock at Rowsley, a small, luxury hotel located just minutes from Chatsworth. Recently refurbished and styled by award winning designer India Mahdavi the hotel also boasts an acclaimed, 3 rosette restaurant. The following morning you will rejoin your helicopter and fly up to Castle Howard in Yorkshire. The Howard family have lived here ever since it was built over 300 years ago. It is a magnificent 18th century house set in over 1000 acres of breathtaking landscape. On leaving Castle Howard you will head north once more, up to Mellerstein House, in the Scottish Borders. The house presents a complete picture of a stately home as it would have been 240 years ago. It has exquisite Robert Adam interiors, combined with acres of beautiful parkland, ornamental lake and award-winning gardens. Before stopping for the night enjoy a short flight though the spectacular scenery of the Lake District to your hotel, The Gilpin. The Gilpin Hotel is a small, family run, multi award winning hotel located just minutes from Lake Windemere. Each of the bedrooms has been designed without compromise and the exceptional restaurant showcases the best of local produce. Enjoy the morning at your leisure in the hotel. Explore one of the vibrant local towns, go for a walk in the stunning countryside of the Lake District or just take the chance to relax at the hotel spa. 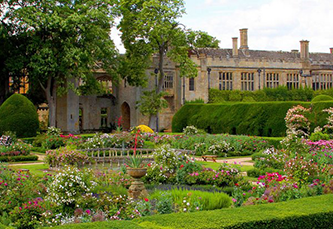 On departing the hotel we head south to the Cotswolds and Sudeley Castle and Gardens. With royal connections stretching back over 1000 years you will once again be treated to private, VIP tour of the house and gardens. The castle contains many fascinating treasures from ancient Roman times to the present day. Outside, the castle is surrounded by award winning gardens and a breathtaking 1,200 acre estate. On leaving Sudeley Castle your helicopter will fly you the 30 minutes back to London Battersea heliport and the end of your exclusive three day trip.